Dinning at Taste Inn a few weeks ago we couldn't help but notice ROX Burger next door. On a road dominated by rather drab looking chicken shops, Chinese takeaways and Indian grocery stores, ROX Burger stands out with its clean look and uncluttered window. 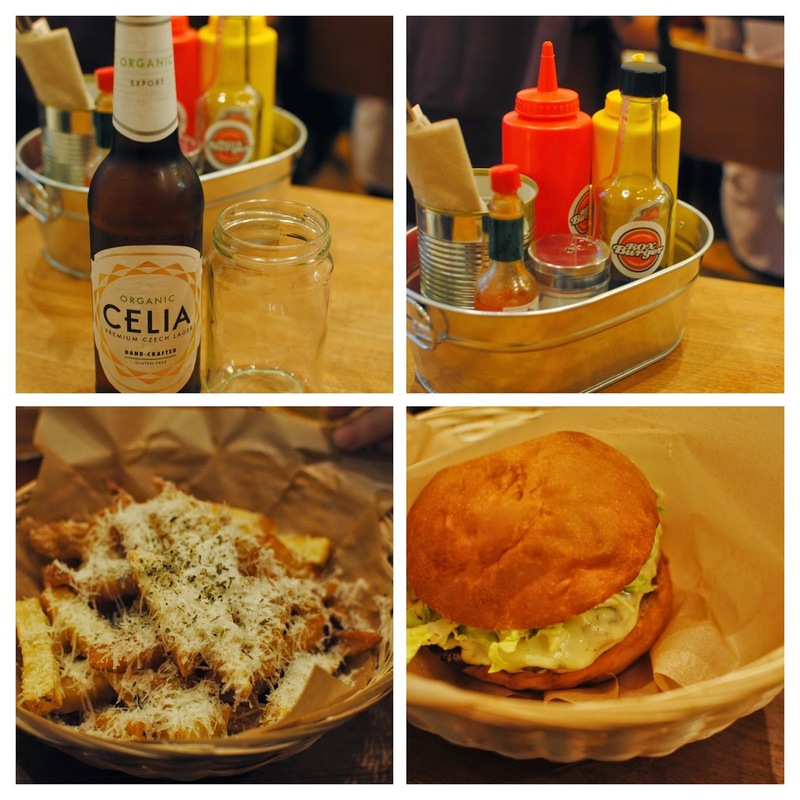 Exhausted from moving house we headed to ROX Burger last week for some guilt free fast food. Deserving of a beer, our friendly host sold us on an organic Czech larger Celia. It was a clean and crisp tasting drop, although I thought serving the beer with a jam jar was a little unnecessary. Lewisham should do its own thing rather than simply following a hipster craze. I ordered the Rox Classic (£5.50) and we shared a serving of the Rox Fries (£3.00). The parmesan and oregano chips were easily enough for the two of us. My burger came in a brioche bun and was served with cheese, lettuce and Rox mayo. While my burger was good, it didn't hit the heights of Burger Bear, my current No 1 burger. The pattie wasn't a succulent as I'd hoped, being cooked over the advertised medium and could have done with more seasoning. The fact that regeneration is coming to Lewisham is obvious for everyone to see, but it is a bold entrepreneur that seeks to be one of the first people to ride that trend. Good luck to the owners of ROX Burger and I hope Lewisham gets a few more places like it. I hope to be back to try the chorizo I saw heading to a couple of neighbouring tables.